We were working so hard to bring you the most customizable, awesome theme ever made, that suits both – for beginners and advanced (develoeprs included :)! Go to Appearance->Themes and click Add New. Then add gdaynews.zip file, click Install and then Activate theme. 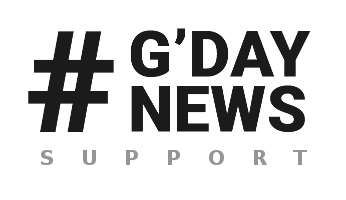 Then you will be redirected to G’Day News Welcome Page. 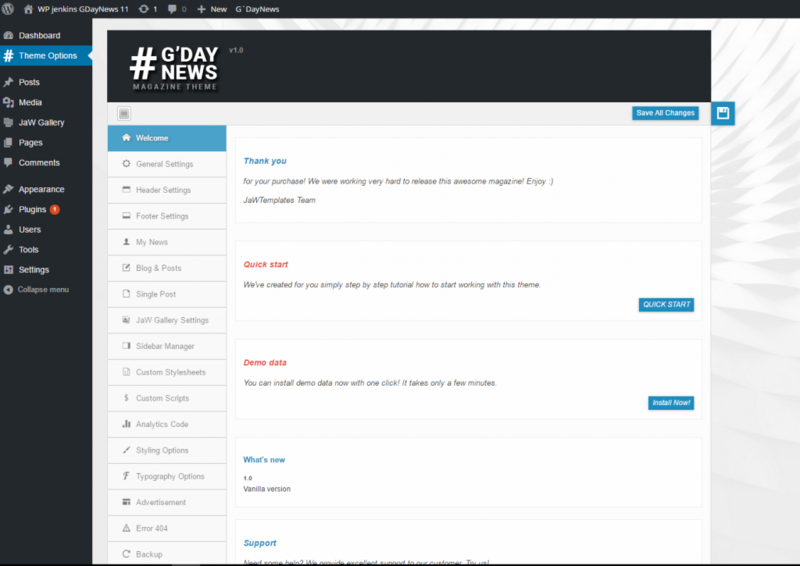 You have successfully installed and activated G’Day News Theme! After you have successfully installed and activated G’Day News Theme, you were redirected to our Welcome Page. Plugins Installation – If you click the Install and activate plugins button, it will automatically install and activate theme’s recommended plugins. 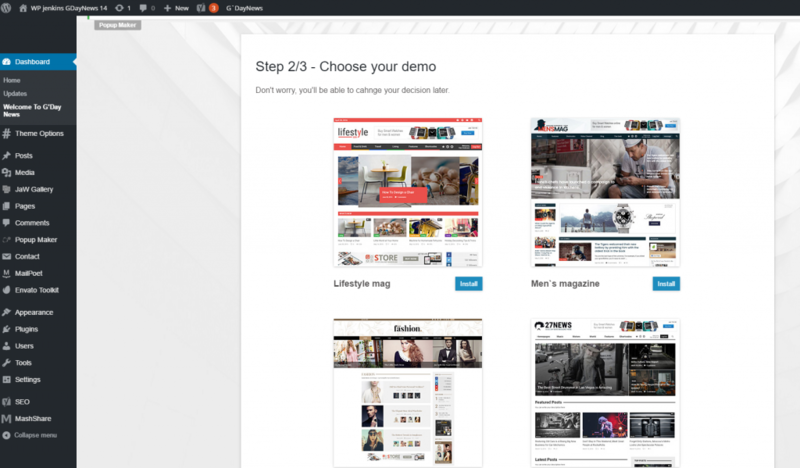 Demo Installation – You can choose what demo you want to install. You can install, uninstall and reinstall demo (demo must be already installed to uninstall or reinstall). During this step (demo installation) you might encounter with some issues (most likely it depends on your server settings. For more information, you can follow this link). Please bear in mind that you can install all of our demos, you can also uninstall and reinstall them. When you want to uninstall a demo, it will remove all installed posts and pages (it will not remove your already created ones by yourself ;). Same with reinstall. Via Theme Options you can set lots of stuff globally, e.g. in Header Settings, you can set Header Area, Top Bar, Above Logo Area, Menu, Under Menu Area, Breadcrums. Full Theme Options is described in Documentation.